BleachHouseLibrary.ie: #IrishFictionFortnight - Day 14 - "The Lake" by Sheena Lambert. Author Feature and Giveaway. 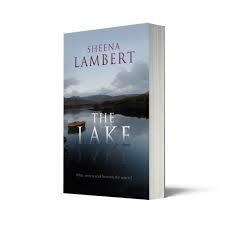 #IrishFictionFortnight - Day 14 - "The Lake" by Sheena Lambert. Author Feature and Giveaway. 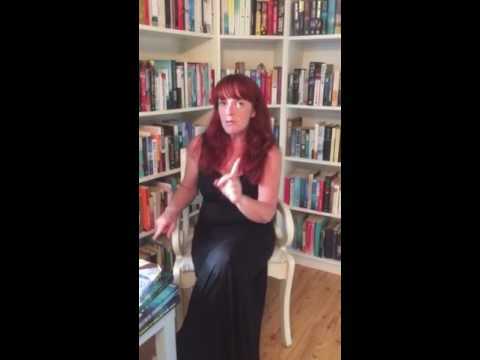 Thanks to the author, there is not only a copy of The Lake to giveaway for #IrishFictionFortnight, but also a copy of her debut novel, A Gathering Storm, too. Just enter via rafflecopter link below. Good Luck! A body is discovered in the receding waters of a manmade lake, and for Peggy Casey, 23-year-old landlady of The Angler’s Rest, nothing will ever be the same. Secrets never meant to be revealed. Can you imagine getting a knock on the door to be told that your house was being forcibly seized by the State? That you had a just few months to get out, to leave and start anew somewhere else, with whatever meagre recompense the State deemed fair? That was what happened to those living in a number of Irish villages in the mid 1900s, when it was decided to dam rivers around the country to provide water and electricity for the bigger cities like Cork and Dublin. Those living along the river behind the dams had to watch as the water flooded their deserted homes, filling the valleys, forming huge reservoirs, like the Blessington and Iniscarra lakes. In some cases, these people, the Washed-Outs, had to suffer the indignity of seeing their farm buildings, churches and mills blown up by the army before being submerged beneath the water of the newly-formed lake. Crumm, a little village in the Irish midlands, sits on one such lake. Following a particularly hot summer in 1975, the grim discovery of a woman’s body is made beneath the receding waters, and for Peggy Casey, 23-year-old landlady of The Angler’s Rest, nothing will ever be the same. Detective Sergeant Frank Ryan is dispatched from Dublin, and his arrival casts an uneasy spotlight on the damaged history of the valley, and on the difficult relationships that bind Peggy and her three older siblings. Over the course of one weekend, Detective Ryan’s investigation will not only uncover the terrible truth behind the dead woman’s fate, but will also expose the Casey family’s deepest secrets. Secrets the lake was never meant to reveal. Sheena Lambert is from Ireland, where the troubled history and raw beauty of the landscape were the inspiration behind her novel The Lake. She grew up in County Dublin, where she worked as an environmental engineer before becoming a full-time writer. Her stories, novels and screenplays have been shortlisted in a number of prestigious UK competitions. The Lake is published by Killer Reads and is available in Paperback and ebook format. You can read my review here.